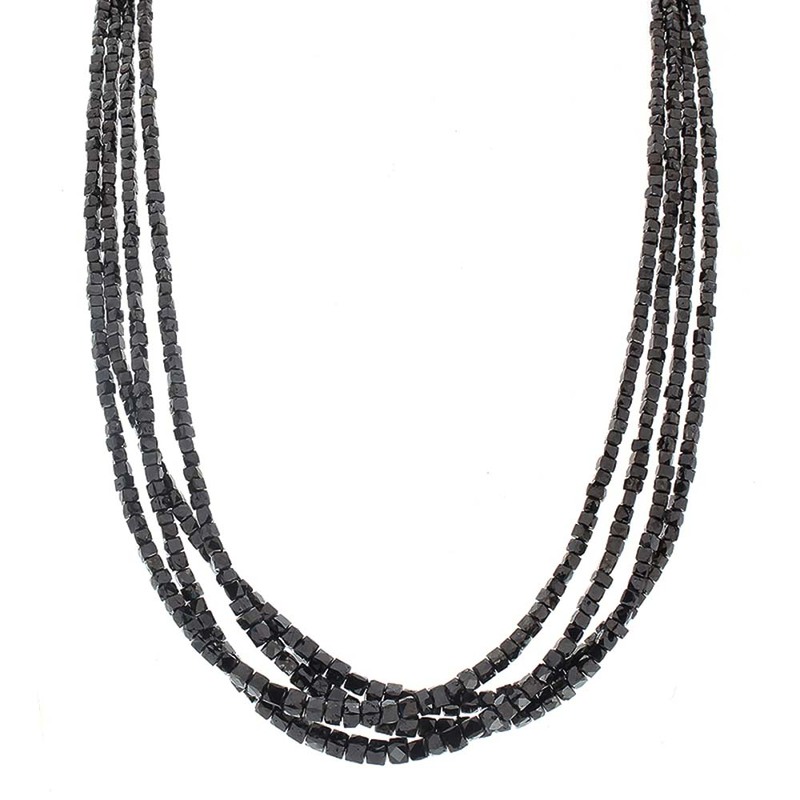 This 4 row, dramatic layered necklace showcases 84 carats of precision cut black diamonds into square shapes. These diamonds are set into four even length strands. Elegantly crafted in brightly polished 14k white gold, this gorgeous 16 inch long layering necklace is show-stopping in style and is the ultimate anniversary or birthday gift to give to that special someone in mind. If you couldn't imagine wearing over 80 carats of diamonds, you can now.